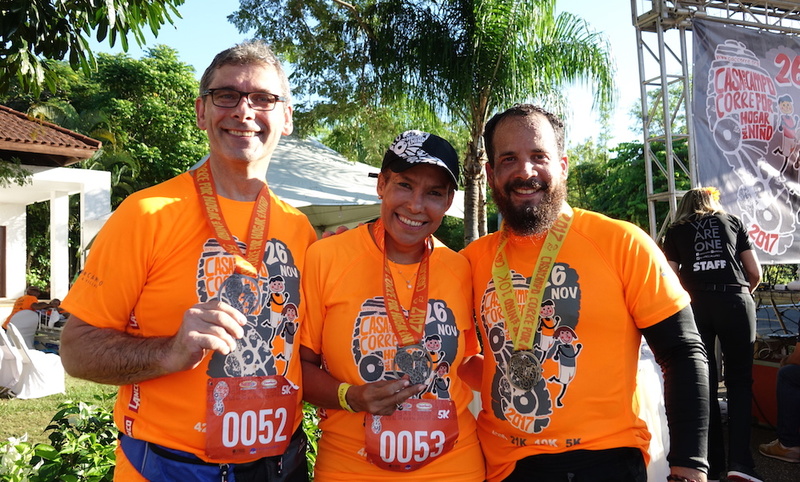 Put your running shoes on… the Casa de Campo Corre for the Hogar del Niño is this Sunday! 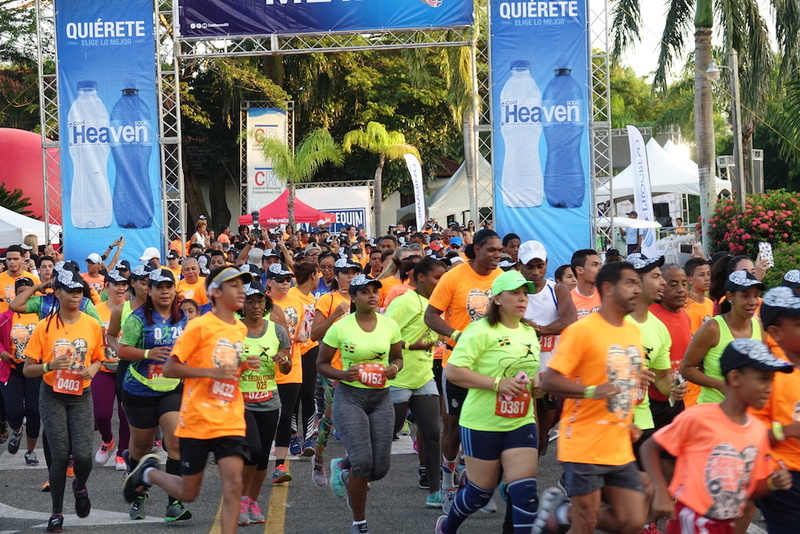 We hope you are all in good shape for the Hogar del Niño fun run this Sunday, November 25th at 5:30am. The event includes a Marathon (42K) includes the Half Marathon (21K) and distance races of 10K and 5K whose routes are certified by the International Association of Athletic Federations (IAAF) and has already become very popular in the country, managing to reach also runners abroad, who have come from Puerto Rico, the United States, Europe, Colombia and Venezuela among others, and who have had the opportunity to run a marathon enjoying the most luxurious and exclusive tourist resort in the Caribbean. The event is completely SOLD OUT!!! Each registered runner will receive a kit of a backpack of the event, an official dri fit of the Marathon, BIB cap and CHIP. 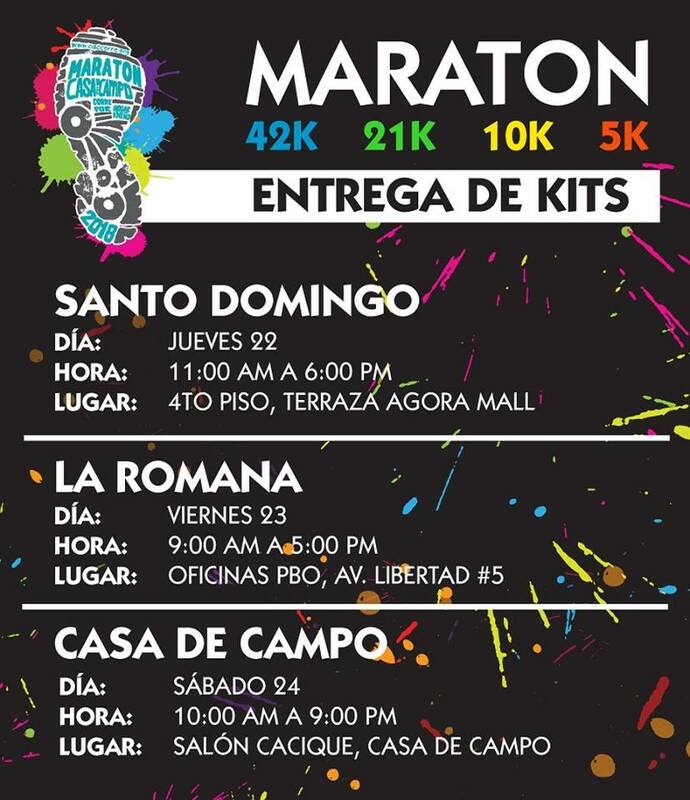 Today the kits are being handed out to the the runners located in Santo Domingo and nearby cities, tomorrow Friday 23rd at the PBO offices in La Romana, and on Saturday 24th here in Casa de Campo at Salon Cacique to pick up your kit you need to present your id and your ticket proof of purchase. 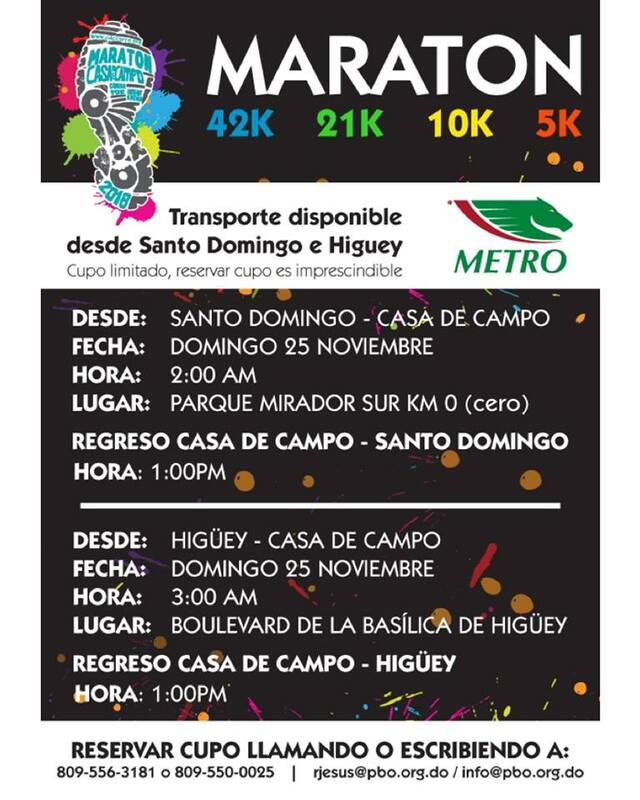 There is also transportation available from Santo Domingo and Higuey, see schedules below. Each Competitors will receive medals for reaching the Goal as well as prizes, certificates and important cash prizes. The races will start with the 42K and 21K starting at 5:30 in the morning, while the 10K and 5K will start at 7:00 am, before the various starts there will be warm-up sessions for the runners. During the press conference that took place on October 16th, Xiomarita Menéndez Dájer explained that the funds raised will be allocated to the Physical Education programs developed for Hogar del Niño as an institution for the educational and nutritional well-being of thousands of children of the vulnerable communities of La Romana. “It is a real honor for us to be able to carry out this activity for the fifth year in a row, which is proof that the results we have obtained in past editions have been positive and encouraging. We are pleased to have the support of all those who are always willing to contribute, in addition to their steps, supporting this proposal that benefits those in need, “said Xiomara Menéndez Dájer.